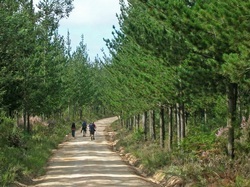 This is one of the gems of the Garden Route and definitely one for your bucket list. However, if you know your TV guide by heart you should probably remain on your couch. This one is not for couch-potatoes, the unfit, weak or faint hearted. A certain level of fitness is required as the total distance of the trail is 108km. The terrain rating is easy-difficult. It is a seven day hiking route which means your back pack will be quite heavy and you are advised to wear a good pair of boots with thick socks. 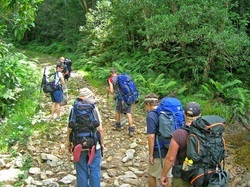 Your feet will hurt (and some other spots too) and you will be tired after each day's hike. You will however be rewarded with unsurpassed scenery which the Outeniqua Mountains ar famous for. +-16km route is uphill just about all the way. 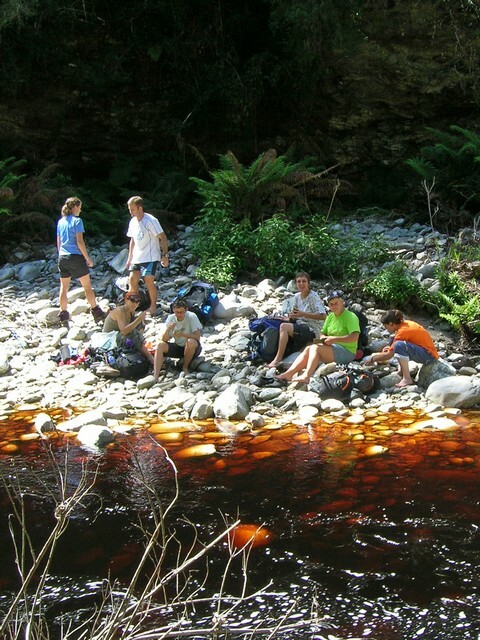 An ideal spot for lunch is at the Hoekraal River. 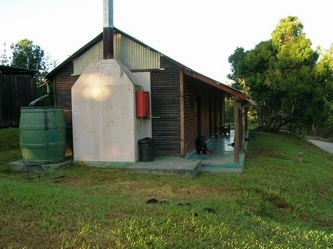 In the late afternoon the Windmeulnet Hut is a welcoming sight. If you happen to be here af full moon, just sit and stare at the unparalleled beauty as the moon rises over the mountains beyond the valley in the east. In contrast to this the late afternoon sun goes wild with it's paint brush on the horizon to the west. Approximately 17km. The beginning of the route can be very slippery in wet weather, so do be cautious. Mist can also set in quite suddenly. Be on the look out for proteas and the Watsonias and also the mountain "fynbos" which is unique in its extraordinary diversity. The best and most colourful flowering period is October to January. This is +-15km and the Homtini River is a beautiful place to rest. 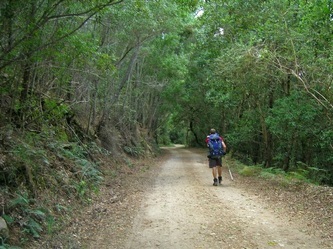 On this day you also pass through Jubilee Creek picnic site which is a scenic delight and beckons you to stop. A short diversion also leads you to a waterfal with an inviting plunge pool. The hut consists of a charming, rambling old house with updated ablusion blocks. If you can't face 2-minute noodles anymore, this is the ideal day to be at the hut early, visit Mother Holly's (Matterolli) and order scruptious hamburgers to tingle your taste buds. This is +- 17km and is quite hilly. Although you walk in the forest, it can become extremely hot. Take adequate water and nutrition to help kerb exhaustion. Don't miss the swimming spot on the Knysna River. Just when you think you have really had enough, the hut suddenly appears in a clearing in the forest. About 13km and passes on old forestry machine shortly after the start, but don't spend too much time taking photos because a hill awaits you and after that another HILL. 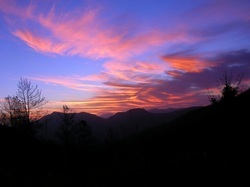 The top offers a spectacular view. 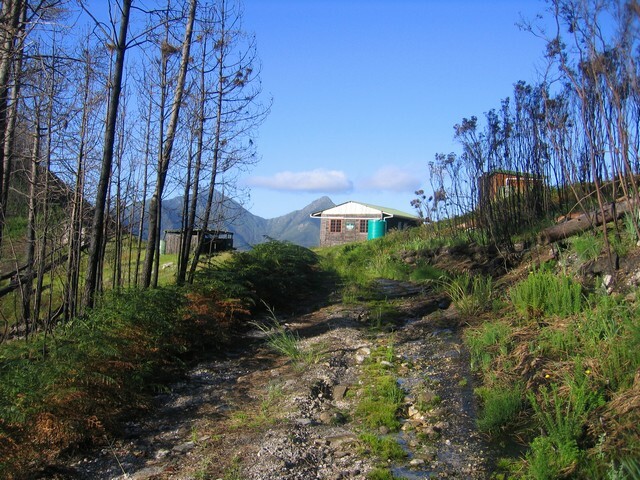 The rest of the route you just cruise to Diepwalle hut where electricity and a warm shower awaits you. Diepwalle hut is also a great start/stop point for shorter route options. 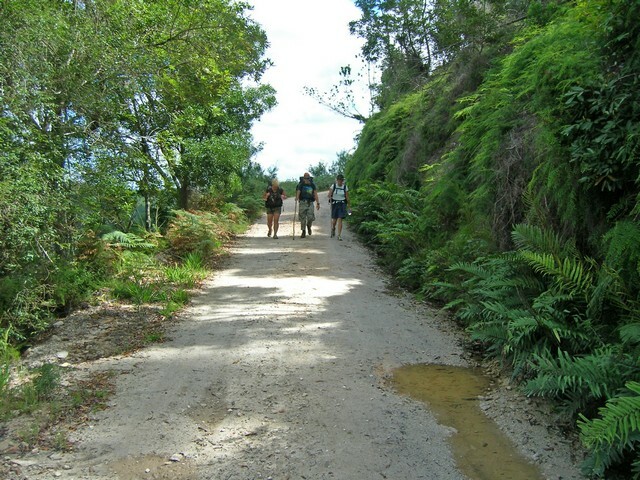 Other hiking trails criss-cross this 16km route near the start so be alert not to follow the wrong indicators. 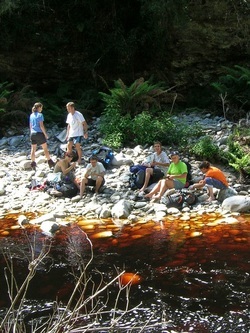 The route crosses two rivers which offer refreshing resting spots. Is the shortest distance, +-12km, on the trail and quite easy-going. 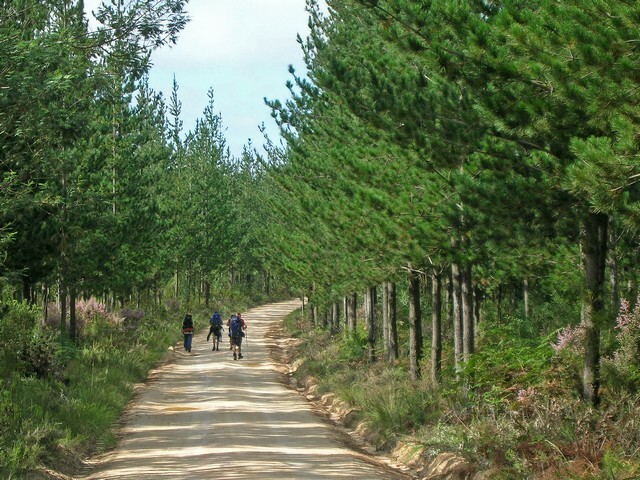 It is worth while taking your back pack off your weary shoulders and taking a stroll through the Garden of Eden as the trail crosses the N2 national road near here. 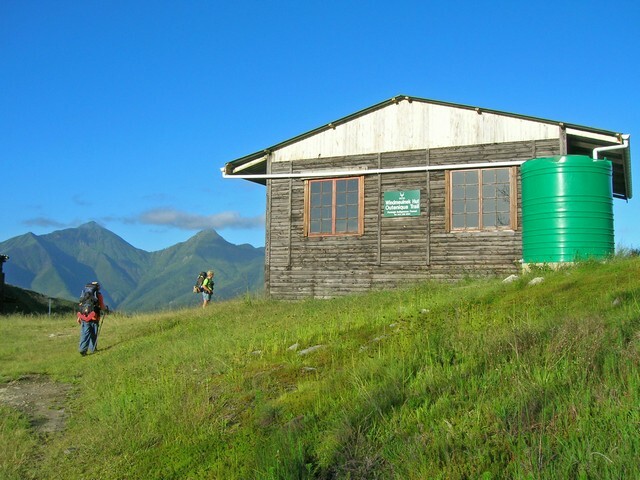 After that its just 5km to the Harkerville hut which boasts electricity and hot water to soothe your weary bones. Please note that hikers do not have to hike the full 7 days, 2 and 3 day options are also available. There are also one or two shorter circular route options possible. 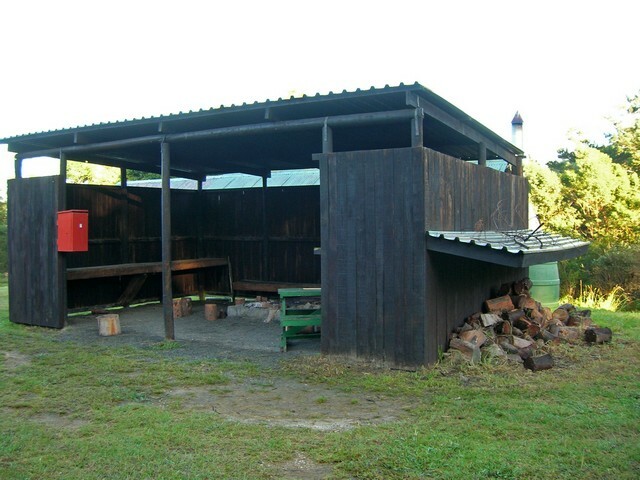 However, vehicles are not allowed at all the huts. For further information in this regard and also for bookings contact Sanparks on 044 302 5606 or Fax 044 302 5627, or at the regional offices Queen Street, Knysna. Be aware that the weather can change rapidly, so come prepared. Take clothing for heat/cold/rain and also extra rations in case of emergency. A first aid kit is essential. Please do not litter or disturb plant life. Also take caution when preparing food where you rest that you erect your stove in a safe place so as not to cause fires. If you smoke, please ensure that your cigarette butts are properly extinguished. 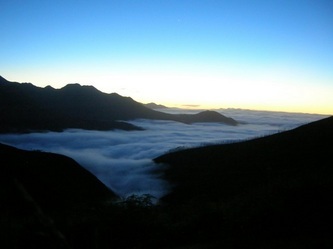 Take many photos and memories, and leave only footprints as you enjoy this incredible hike. Route Markers: Black signs with white boot prints in. 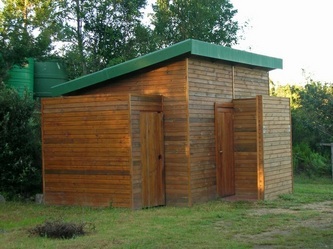 Permits & Costs: Inquire from the SAN Parks office on Thesen Island in Knysna. Bookings: Bookings are made through the SAN Parks office in Queen street, Knysna.